These days, it’s hard to get by with just one email address. 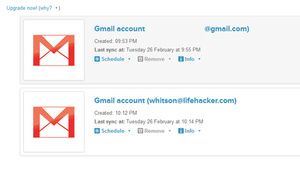 If you want to sync your contacts between all your email accounts, it’s actually very easy to do with a free tool called Soocial. Here’s how. Sign up for a Soocial account if you don’t have one already. Soocial is free for up to 250 contacts and three different sources. Above that, it’ll run you $4.99 a month. Grant Soocial access to your Gmail contacts and choose “Merge Gmail with Soocial” when prompted. When the wizard is complete, it’ll take a few minutes to sync your contacts. Head back to the Contacts page and keep an eye on it. Once it’s synced all of them, you’re ready to move on. 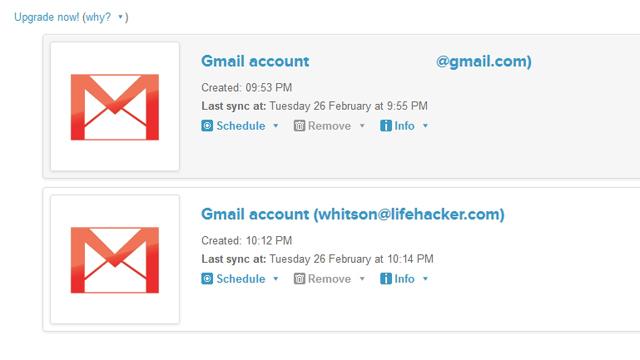 Head back to the Sources tab and scroll down to “Add a Source.” Repeat steps 2 and 3 with your second Gmail account. When the wizard is finished, head to your second Gmail account and open up the contacts. You should find that everything’s been synced beautifully, including pictures. I had all my contacts on one account, but if you had some on each, you may have to go through and fix some duplicates before everything’s in tip-top shape. From here on out, though, any changes you make to one address book will be synced to the other, and vice-versa, meaning your contacts are never out of date on just one account.